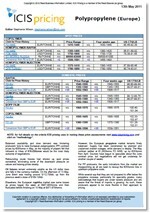 For clear insight into European Polypropylene markets, you need in-depth price reports direct from the region. That’s why ICIS maintains a network of locally based reporters, providing not just price assessments but market commentary and analysis. Supply expectations were mixed for PP for the second quarter. Warnings of a lack of propylene during the planned cracker maintenance period, especially in May, were made, and while propylene supply has been more ample than expected, some buyers still bought ahead just in case. The second quarter is not expected to have oversupply, because of the planned outages. The planned cracker maintenance programme in Europe has led to some prebuying, and the upcoming cracker outages are expected to continue to support demand for part of the quarter at least. UK demand is expected to fall, as buyers have been building stock ahead of leaving the UK on 29 March, a date that has now been delayed. We offer the following regional Polypropylene coverage to keep you informed of factors and developments affecting prices in the Europe Polypropylene marketplace. Over 25 years of reporting on key chemicals markets, including Polypropylene, has brought global recognition of our methodology as being unbiased, authoritative and rigorous in preserving our editorial integrity. Our global network of reporters in Houston, London, Singapore, Shanghai, Guangzhou, Mumbai, Perth and Moscow ensures unrivalled coverage of established and emerging markets. 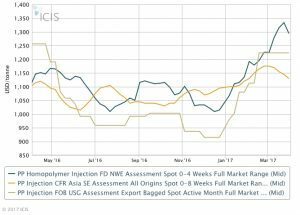 Price Report: The European ICIS Polypropylene (PP) report covers three main PP grades: homopolymer injection; raffia; and block copolymer. The report is widely used as a benchmark in the European market. It includes spot and domestic pricing for Europe, delivered prices in the domestic Russian market, and cost & freight (CFR) prices in Turkey, the world’s second-largest importer of PP (after China). The text of the report covers movements in upstream markets – mainly crude oil, naphtha and propylene. Propylene monomer discussions along the month are always reported, and expectations of what the settlement will bring are closely monitored. It features Asian price movements, plant shutdowns, supply and demand balance, exchange rate movements and imports – anything, in fact, that can affect Polypropylene pricing is included in Europe is included in the report. ICIS price forecasts are concise monthly reports that include details of prices, margins, capacity, supply and demand for the next 12 months – all in a single report. Available for a range of commodities, this easy-to-use format is quick to read and supports fast decision-making as it covers everything you need to know to understand where the market is heading. What’s included in our price forecast reports? Rolling 12-month view of pricing including current prices and expected price trends. The latest market view on whether prices will rise, fall or stay the same in the following month and the next three months. Current data on the upstream feedstock prices affecting commodity market prices and margins. 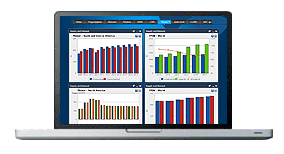 Historical data on supply and demand balances to support your decisions on production plans and operating rates. Monthly average margins (standalone and integrated) illustrating how product profitability is being impacted, along with a 12 month forecast. 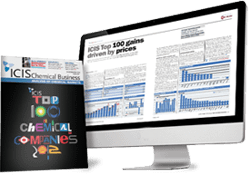 ICIS collects pricing data on a wide range of chemical, energy and fertilizer products, including Polypropylene. Our extensive experience in price reporting means we can offer you access to historical data dating back more than 20 years for certain commodities.